This is a scheduled post as promised while I begin revising for exams! 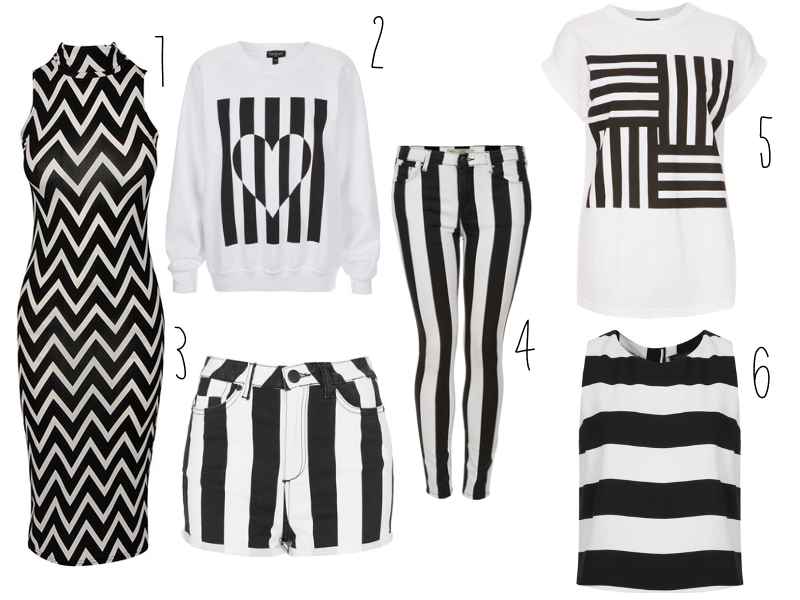 Monochrome is certainly one of the biggest trends this spring. I love the simplicity, it makes it a lot easier to think of outfits.. most of the time! I already have the top featured in number 5 after my lovely friend got it for me for christmas, but I certainly want number 6 after Zoella showed it in a recent video of hers, it seems perfect for the hotter weather which is hopefully to come! I also think the stripes can help flatter your figure a lot, which is a massive bonus!